Our church had OMC (organized mass chaos) and Jackson and Brylee both invited a friend to go. Jackson invited his baseball buddy Carson and Brylee invited her friend Ella. We decided to make it an afternoon of fun. We went swimming at the Y, then to eat dinner at Dairy Queen, then off to church! It was a fun night for the kiddos! 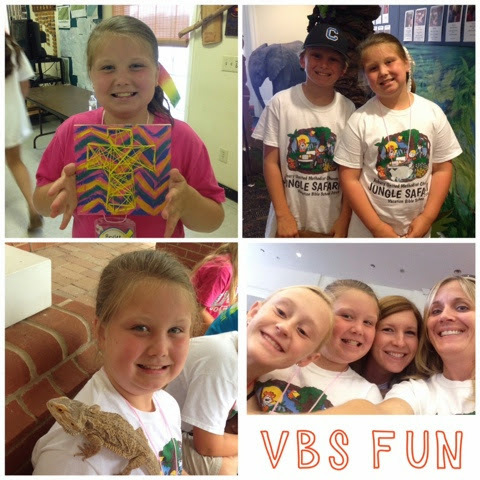 Jackson and Brylee always go to VBS at Asbury every summer! We don't go to church there but know so many people that do! And half of the town goes too! They always have a great time! 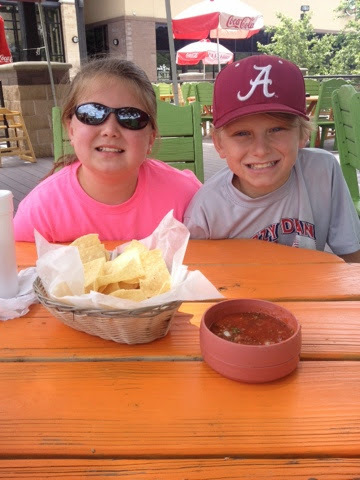 We were out and about running errands and getting things ready for our weekend at the lake and decided it would be a great time for some Mexican food... So Pablo's patio time it was!! We invited our friends and neighbors the Pyron's down to the lake Saturday. We had a great time! It was busy busy busy from the time they got there at 10:30am until they left that night around 9:30pm. We were all exhausted after the day on the lake but it was so fun! 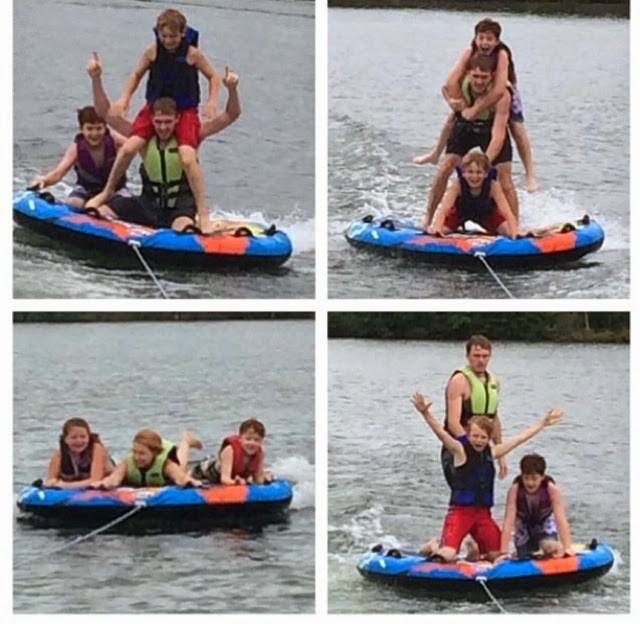 We left on the boat and tubed all day... It's a whole new world with boys!!! They all made pyramids on the tube, tried to see who could stand up the longest... Craziness and Fun! We even had so much fun that we ran out of gas coming back into our slough and had to push the boat! Oops! That is when RP said well looks like we got every ounce of fun out of that gas tank! Ha! ;) We gassed back up and off we went for more fun! 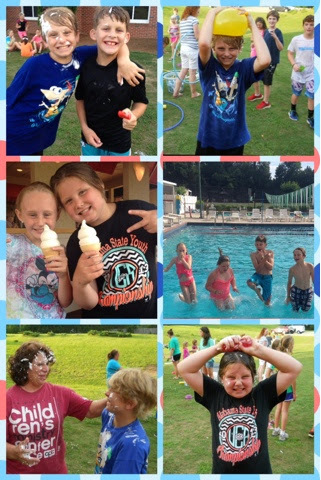 Then we ended the day grilling out burgers and dogs and making homemade icecream! It was an awesome super fun day! We were all moving a little slow today after all our fun the day before. 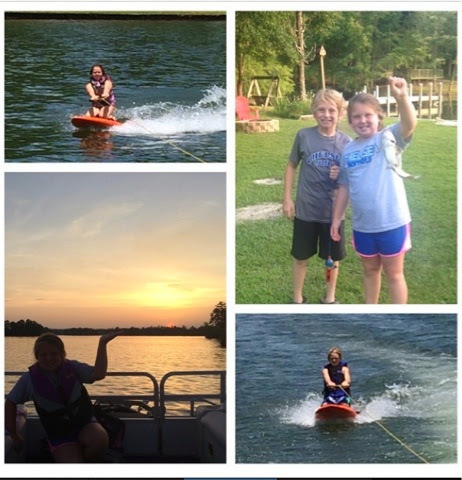 We took it easy and then went out for some knee boarding and a sun set cruise. Jackson and Brylee also fished and they caught a fish! It was a fun weekend!!! I started this Bible Study last week. We meet on Monday nights and I love this group of ladies so much already. These ladies have been meeting for a while but I always taught GA's on Wednesday night at church so I never did a Bible Study. I decided in May it was high time I go back to ladies bible study and step away from GA's and I am so glad I did. These sweet ladies have welcomed me with open arms, loved on me, & and pray for me! It is just what I need! 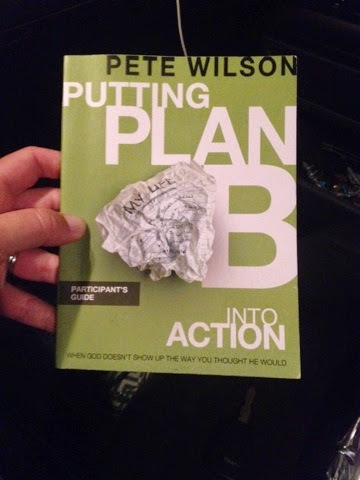 I am also enjoying this study & let's be honest Pete Wilson...well, he is pretty easy on the eyes too!!! LOL! The theme is basically "when God doesn't show up the way you thought He would"! We are only half way through the study but I have certainly loved the fellowship and the study so much! Tuesday, July 1st: Go USA!!! Ok first of all; how is it July already?!?! Where is summer going!!! It is flying by!!! School starts in like 1 month!!! OMG!!! I know the summer days are long but the "months" are short!!! Wow!!! 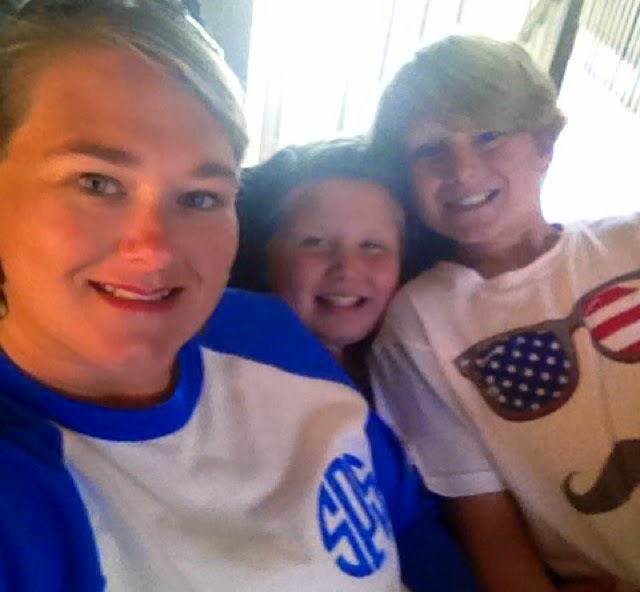 And can I add that My baby boy goes to middle school in like 1 month... Really it's worse than sending him to Kindergarten... At least I am convinced it is?!?! ?